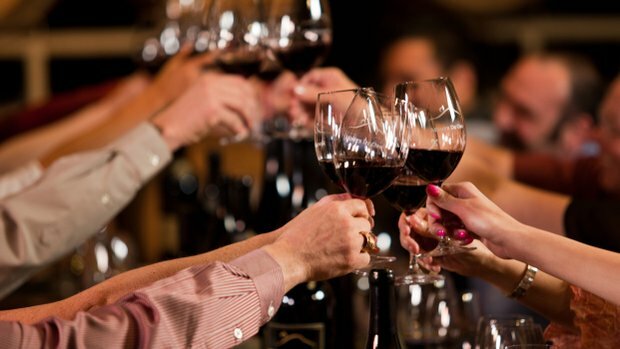 A bottle of wine can open up communication and evoke emotion like nothing else in the world. There are few things as dynamic, engaging and provocative as a bottle of wine. Contained in that bottle are the blood, sweat and tears of the hundreds of people involved in its production. The fact that it ages and has its own life cycle sets it apart from just about any other beverage. But it’s what can occur between individuals who share a special bottle that makes it so intriguing. Just to be clear, I’m not advocating overindulgence. However, it sometimes takes more than just a sip, or even a glass, to open the doors of communication and set the human spirit free. Often, the last sip of wine is the best. It can take some time for a wine to open up and reach its full potential. But when you sit with a friend or family member and look forward to an in-depth conversation about life, the improvement and evolution of that wine is part of the overall enjoyment. My parents were over for dinner last year, and I opened a bottle of Hanna 2013 Bismark Mountain Vineyard Cabernet Sauvignon. It was young and opulent upon opening, but my dad and I agreed it was going to improve dramatically in just a short while. So as we sipped, we talked. We talked about the wine, of course. But we also discussed the amazing playoff run the Yankees were on, and how the team compared to those of the late 1970s that we loved so dearly. We talked about how, a few years back, he had lost his passion for oil painting, but he had just started his first new painting in ages. And as we sipped, not only did the wine improve, but so did the content of our conversation. As we enjoyed our last glass, my daughter came flying into the room to give him a big ol’ Grandpa hug. Filled with emotion, he wanted to make sure I knew that my daughter, his only granddaughter, had filled the void left when he and my mom lost their first child and only daughter shortly after her first birthday. Of course, having my brother and I soon after that traumatic event certainly helped. But never having a little girl around had apparently left a vacancy in his heart and soul that was never fully repaired until now. And as we discussed this truly heartfelt and intimate revelation, we realized that the bottle was finished. As anticipated, the last sip was indeed the best. Below is a post that I wrote in April of last year… and unfortunately for Napa and Sonoma Cab lovers I was pretty dead on! Many of these 2010 and 2011 wines have had some green and herbaceous qualities to them (which can be a pleasant characteristic), while a lot of them have ONLY green and herbaceous qualities which is no bueno! I have been tasting more of the 2011 wines lately and this “green effect” seems to be much more prevalent and overpowering in most of these wines. 2010 still had some standouts that avoided this overly stalky quality such as Cabs from Hanna, Clos du Val, Sequoia Grove and Pride. But for most of the 2011 Napa/Sonoma Cabs I have sampled so far the vegetal quality has been anywhere from noticeable to overpowering…not what you are looking for from these wines. The Peju Cab somehow avoided it, and Caymus was as consistently solid as ever. So just beware of the vintage when grabbing those Cabs from Napa/Sonoma… I would say the safer bet for now is to stick with the 2010 over the 2011 vintage. Nowadays when people throw the word “green” out there, they are usually referring to something being ecologically sound or environmentally beneficial. When it comes to wine, green means something entirely different. Sure, it can refer to a wine being made organically or bio-dynamically, but it is typically a way to refer to wines (usually reds) as being somewhat under-ripe. If you are a Napa Cab drinker and plan on drinking those wines from these two vintages, you should become familiar with this dynamic. There is a saying that good wine is made in the vineyard, meaning that without great fruit there is not much you can do with the juice. A large factor leading to quality grapes being produced has to do with the weather that particular growing year which is early spring to fall in the Northern Hemisphere. Yes, vineyard location plays a pivotal role and so does vineyard management, but without the right temperatures, rainfall and climate… those vines can be in danger of producing a small amount of grapes and not very quality ones at that. The last two years have been tough weather wise in Napa, and for a late ripening grape like Cabernet Sauvignon that can mean trouble. When grapes are not ripe enough at harvest they can be a bit green… but what does that mean? It could result in a stalky characteristic, possibly an herbaceous or grassy nature or even reminiscent of a rhubarb flavor. However it comes out, unless it is in minmal amounts it is not very desirable. In these last two vintages, that green effect is going to be tough to avoid in Napa Cabs. Of course the best vineyards and the best winemakers will still be making quality wine, but it may need some aging and there won’t be a lot of it so it will most likely be more expensive than the previous vintages. So what can you do as a consumer? 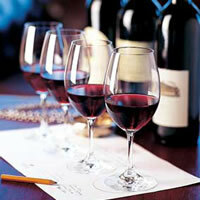 Taste some of these Napa Cabs from 2010 and see if they suit your palate. This under-ripening of grapes can also give wine a lot of acidity and low tannins which some people prefer. But if you like your Napa Cabs big and bold then you may want to check out some of the Paso Robles Cabs as they seemed to fair better. Or venture out to some of the Rhone wines from 2010. It was a fantastic vintage there and practically all the wines, from the everyday Cotes du Rhone to the single vineyard Chateuneuf du Papes, have been excellent thus far. Think of it as a good reason to expand your horizons or to buy some Napa Cab cellar selections instead of the everyday ones that are usually ready to drink. Can you say… “VALUE ALERT!” This interesting red blend packs a lot of punch for the price. The soft and supple black currant and floral notes from the Merlot are well balanced with the black cherry and cassis from the Cab and the brambly berries from the Zin. It’s a big wine but not overpowering as it stays smooth on the palate through the finish. This Hanna Cab is my favorite from the AV region in this price range. It has so much elegance and charm, just a delightful wine. Classic Cab nose with cassis, black cherry and plum aromas. But it carries this floral note that stays with the wine through the finish giving it real complexity. Hints of smoky oak and sweet spices add to the playful balance of this wine. For those that like their Italian wines big, fruit forward and supple…look no further. Brimming with red berry fruit, spice and smoked cedar box this wine is really enticing from the get go. It has nice balance with soft tannins and simply coats the palate. Pair it with a nice piece of beef or a hearty dish of pasta, either way it will not disappoint. Known better for their Zins, this Cab shows a lot of true Dry Creek character. The black fruit core meshes delightfully with the toasty oak, ground coffee beans and hints of eucalyptus. The tannins are firm but supple and the finish has that hint of chocolate from the trace of residual sugar. Comes out of the bottle ready to rock, no need to decant this one. It ain’t cheap but man is it tasty. Usually I like my Pinots lighter and more delicate in nature, but this one is tough to resist. It has the fruit and spice of Pinot but the body of a Cab or Syrah… but what else would you expect from a wine produced by Caymus! Crafted by Laurence Féraud of Domaine du Pegau, Plan Pegau has loads of character and personality. Blackberry and dried herbs are layered over black pepper and savory, meaty notes. Like a baby version of their highly revered Chateauneuf du Pape for under $20.